San Gil is the action sports center of Colombia. I arrived anxious for river rafting and mountain biking, but quickly learned that it was the wrong season for rafting, and that the mountain biking was overrated. I got parasailing, bungee jumping, and a pair of spectacular hikes instead. 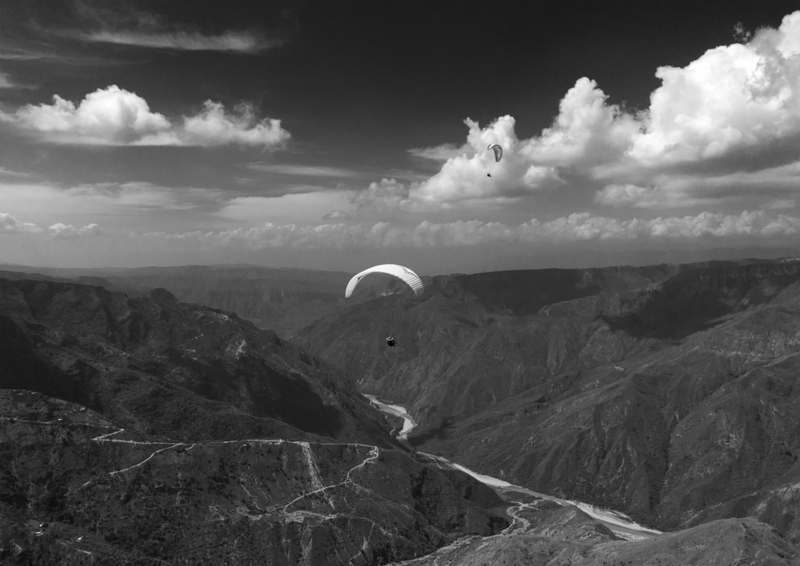 Riding thermals high above Chicamocha Canyon left me weak in the knees, but awestruck. As a bonus, I met a friendly group of Brits in the idle hours driving to the launch site and waiting for our chance to fly. They had previously befriended a tour guide, who agreed to take them to his favorite swimming hole on his day off, and I was lucky to get an invite. The next day, we piled into the back of his pickup, drove for an hour on a narrow gravel road sandwiched between family farms, and hiked for 30 minutes to arrive at somewhat of a local secret. This place, devoid of tourists, was among the most beautiful and peaceful I’ve ever seen. The Brits left, and I spent the next few days with a pair of Canadians, Kyle and Kendall, exploring waterfalls, bungee jumping, playing pool, and coping with something of a con artist. Thanks to the latter, I’m now the not-so-proud owner of a worthless watch I never wanted, which was left with us as collateral for a beer and dinner debt accumulated by a sketchy but friendly local. It wreaked of a scam all along, but there was never a polite out, and the stakes were low. It was frustrating, but if that’s the worst that happens to me in a year in South America, I’ll have to count myself as extremely lucky.